All events in place Palit ! Surface : 52 m2 (1. floor). Characteristics: In the center, with terrace, with balcony. Environment: Ability to use barbecue, Parking by the house. Other options: Pets are not allowed, Boat anchoring is possible. Price options: Tourist tax is included. Prices are the total price for building / apartment on the day. Included are: utility fees in regular ratio of consumption (electricity, water, gas), weekly change of sheets and cleaning. Children under 3 years of not using separate beds are not included. Fee per child is € 3.0 per day. The fee is payable on arrival at the agency. Check in: 14:00 pm, Check out: 10:00 am. For stays shorter than 4 days will be charged 30% add-on price. Registration is not included. Is 2 EUR per person (Single. 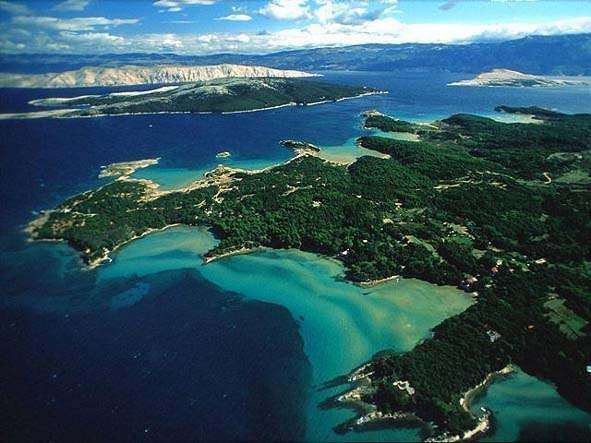 Rab is a part of the Kvarner Bay archipelago in the Adriatic Sea, north of the Croatian. Together with the ancient town, in various scattered over the island is situated seven other idyllic places: Barbat, Banjol, Palit, Kampor Mundanije, Supetarska Dear and Lopar. It inhabits approx. 9000 inhabitants, who live mainly by agriculture, fisheries, shipbuilding and tourism baljena Our tradition of organized tourism is today already 120 years. The youngest place on the island, right next to the old town, a typical and easily recognizable by the shopping opportunities in the central business district, good restaurants, proximity to the city`s sandy beaches and the peninsula Škver Frkanj Rabske favorite spa guests and the oldest nudist beach on the Adriatic coast in the Bay Kandalora.